This stunning hand-tied bouquet is a feast for the senses, and radiates warmth and cheer with its cluster of jewel-coloured flowers. Guaranteed to catch the eye, this is an arrangement for those wanting to celebrate the season in style. We have combined the boisterous blooms of rich purple brassica with more sprightly carthamus; a fiery orange plant also know as the safflower, which adds a pop of autumnal brightness to the display. Sumptuous red roses add elegance, while the sprays of oak leaves bring a seasonal charm. 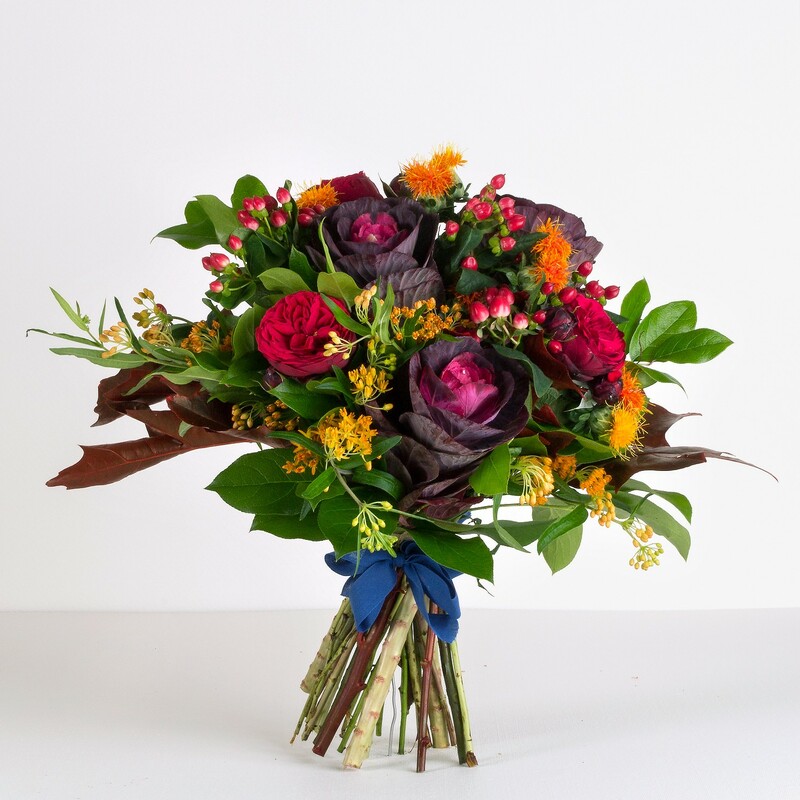 The result is a beautiful and bright assortment of texture and colour, all hand-tied with a royal blue ribbon.